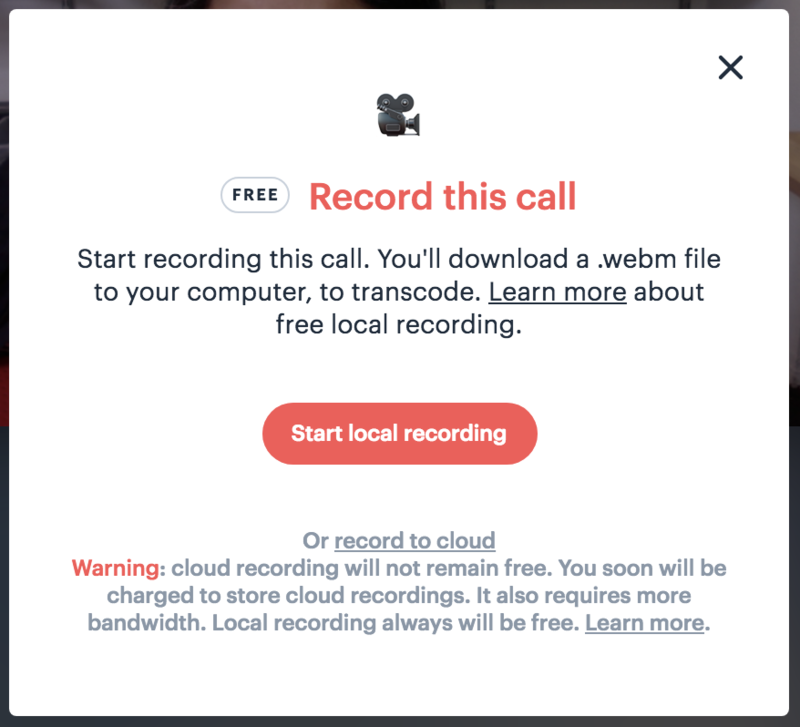 Start, transcode and share a local recording of your video call. ⚡️ Click RECORD in a call, from a computer. We also offer cloud recordings, but that's a paid feature shortly. Also, cloud recordings require twice the bandwidth. 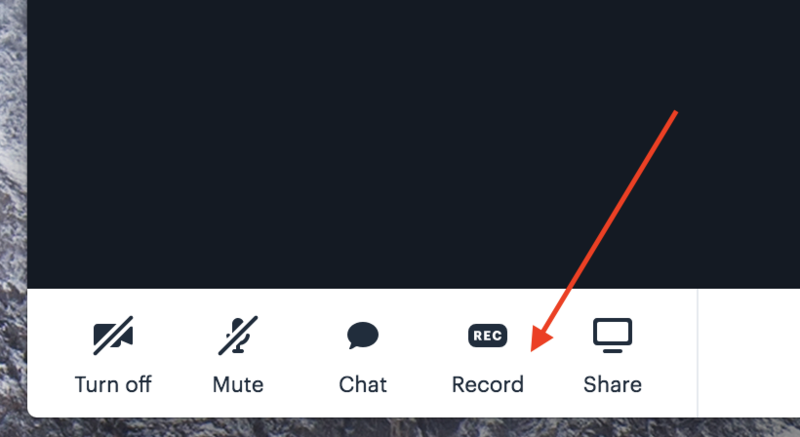 Click the Stop recording button in the banner at the bottom of your screen. This immediately stops your recording and downloads the recording to your computer. Go to where your downloads are sent. That's usually the Downloads folder. Transcode your files to share them. That means you're turning them into MP4 files. Click Select Files. Your webm file needs to be cloud accessible, with Dropbox, Google Drive, Box, etc. At the bottom of your window, select where you want your converted files saved. Select the video or folder with your videos for encoding. 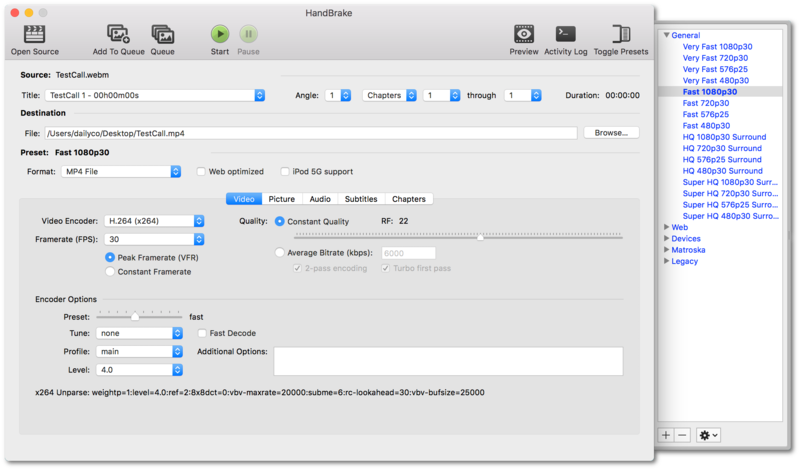 Drag the videos into Handbrake. Or click either Folder (Batch Scan) or File, to browse your computer for video files. Click Browse (bottom right corner) to assign a name/location for your transcoded video. Select the video or folder with your videos for encoding. By default when opening Handbrake a window should appear where you can make this selection; however, if this doesn't appear, you can click Open Source (top left corner) to browse your computer for video files. Click Browse (on the right in the Destination section of the window) to assign a name/location for your transcoded video. Need more help? Email help@daily.co. Chat with us M–F, 9am–5pm PST.